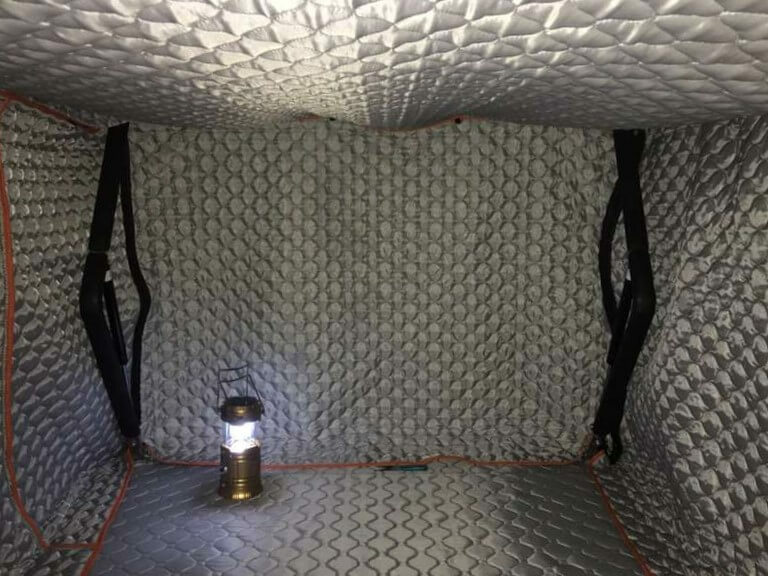 Always trying to innovate and improve our customers’ car camping experience, we have been working on an insulation package for our Basic and X model tents…. And it’s finally here! Introducing the Ptarmigan Insulation system – the Ptarmigan Insulation system is a packable, easy-to-install, synthetic insulation system for both Roofnest Basic models (Eagle and Sparrow) as well as the Sparrow X. The Ptarmigan Tent Insulation system has vertical zippers at each corner for installation around the gas struts and small metal hooks that easily attach its upper edge to the upper shell. There is a vertical zipper at each doorway for ease of entry and exit. Once the insulation is zipped and hooked into place, the lower edge is tucked under the mattress to create an enclosed, cozy space. The insulation can be installed or removed in ten minutes and can be left installed when travelling as long as you’re careful to tuck the insulation and tent material fully inside the tent when closing it. The system is made from a synthetic polyester-based insulation with a polyester-based covering that is mildew and stain resistant. The insulation and cover are all through-stitched for durability and easy of use. Zippers are all metal and the bottom edge is finished with a durable nylon end piece for long-lasting wear. Check it out here on our site and get one to help you stay warm this winter!! https://roofnest.com/wp-content/uploads/2017/11/20171106201539-1.jpg 576 768 Tim Nickles https://roofnest.com/wp-content/uploads/2017/11/roofnest-logo-header.png Tim Nickles2017-11-06 10:42:142018-07-22 14:05:24Introducing our Ptarmigan Insulation system!